Iran’s defense minister, Amir Hatami, said his country has been supporting the Houthis in Yemen, but claimed that the support was limited to the “moral side”, while other Iranian officials have repeatedly stressed that such support includes arming and sending missiles, experts and money. 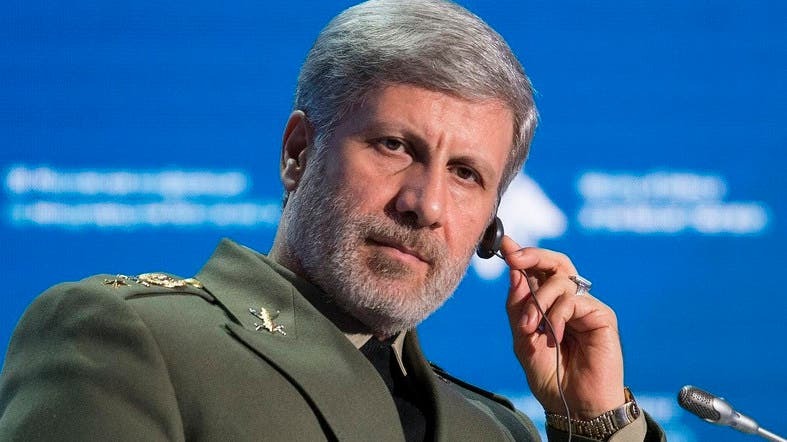 Speaking on Saturday at a meeting for the Basij (volunteer forces) militia leaders affiliated to the Revolutionary Guard Corps (IRGC), Hatami said: “Yemen is a thorn in the eyes of the Americans,” adding that Iran’s support for the Houthis in Yemen is “moral” As he puts it. Hatami statement comes as the US State Department on Thursday presented new evidence of Iranian military support for the Houthis in Yemen. Since January 2016, the former Iranian police chief, Major General Ismail Ahmadi Muqaddam, has been appointed head of the Houthi Support Committee, which the Iranians call it “The Yemeni People Support Committee,” in continuation of a series of blatant Iranian military intervention in Yemen in favor of the coup militias. Last May, the US Treasury Department imposed sanctions on five Iranian Revolutionary Guard experts for their role in transporting missiles and unprecedented weapons to the Houthi militias in Yemen. In April 2017, Mehdi Taib, the head of Ammarioun a strategic headquarters for soft wars, a lobbyist close to Iran’s supreme leader Ali Khamenei, admitted that Iran’s support for Houthi’s militias was aimed at attacking Saudi Arabia. Iran has supplied the Houthis with dozens of short and long-range missiles to hit targets in Saudi Arabia, which has been defied by air defenses in the kingdom. Iranian media have acknowledged supplying these militias in Yemen with rockets. Iran’s support for the Houthi militia was not limited to supplying them with missiles, but the Arab coalition supporting Legitimacy in Yemen and the international forces seized heavy and light weapons, explosives, shells and other types of weapons in more than two years after the decisive storm operation. On May 24, 2015, Iran officially admitted the support of the Houthis militarily, technically and logistically.